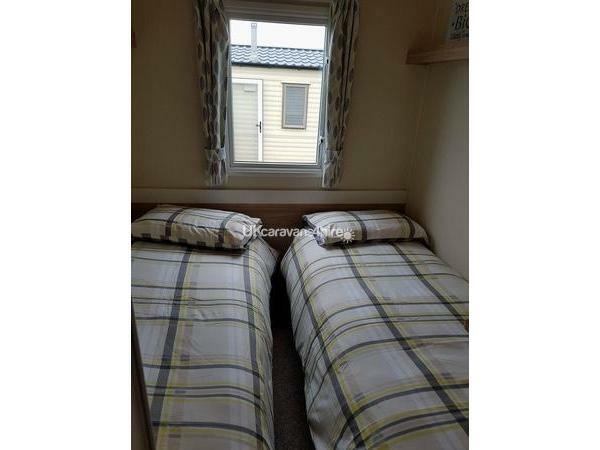 £100 holding deposit is required to book the holiday with the remaining amount due to be paid within 8 weeks of the holiday start date. 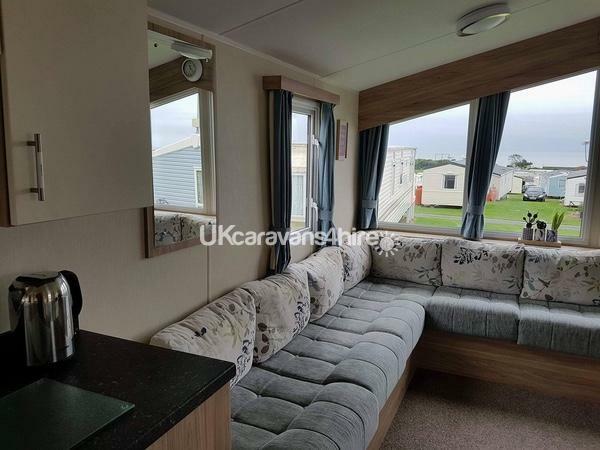 We also require with the final payment a £100 damage bond which is refundable upon inspection of the caravan as long as there has been no loss or damage to the caravan or its contents and it is left in the same condition in which you found it and doesn't smell of smoke. 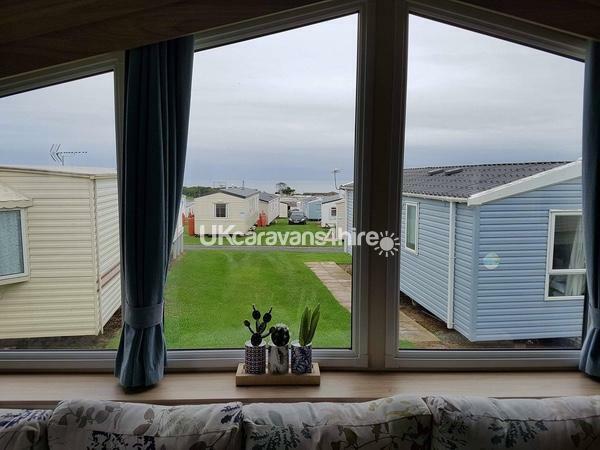 3 bedroom deluxe plus 2016 model caravan on Juniper Close with seaviews from the lounge window is available to hire at Haven Devon Cliffs, Sandy Bay, Exmouth. 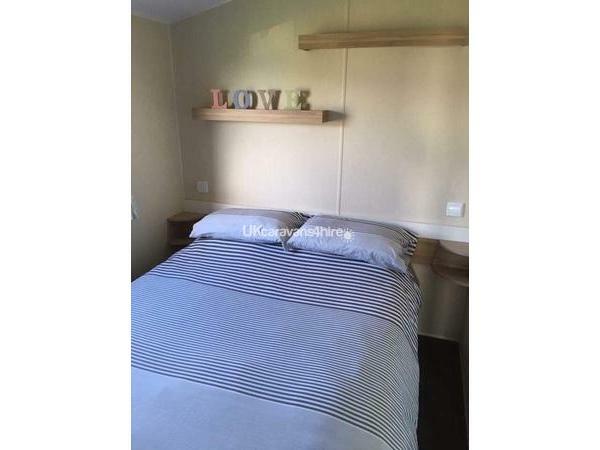 It is well maintained and a full inventory can be found in the caravan ensuring you have the best holiday. It is well loved and cared for by its private owner. We are child friendly and will find lots of added extras such as high chair, travel cot and bed guard for your use. The owners also provide for your enjoyment several games and DVD's. 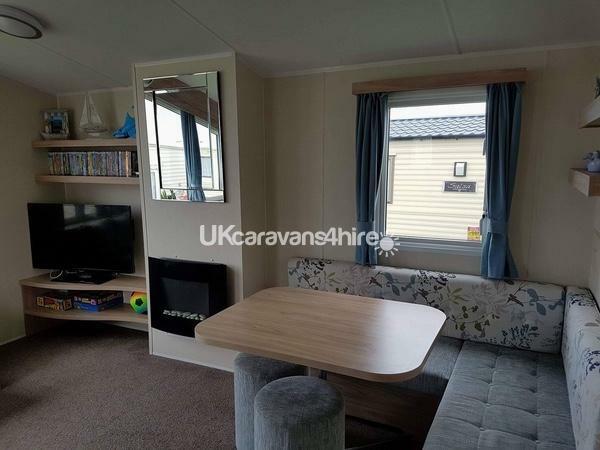 Lounge - There is a large amount of wrap around seating in the lounge, electric fire, DVD player and tv. 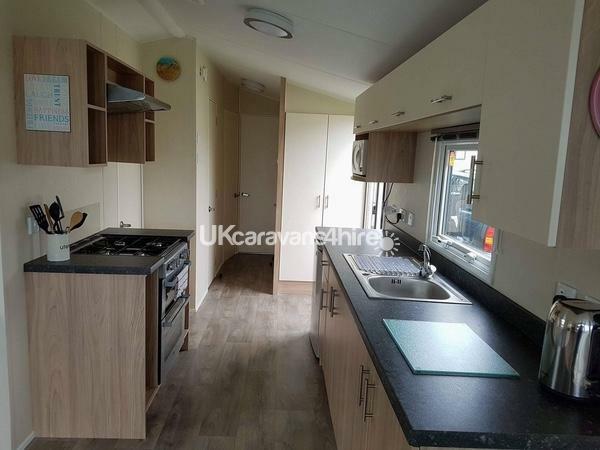 Kitchen - Fridge freezer, microwave, 4 ring hob, cooker and extractor fan. 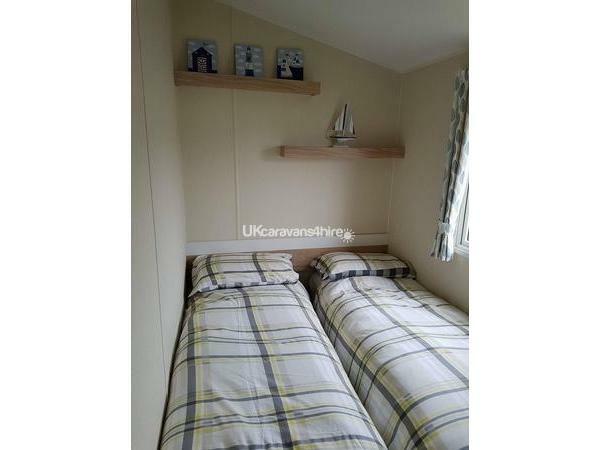 All utensils are provided including all pots, pans, crockery and cutlery. 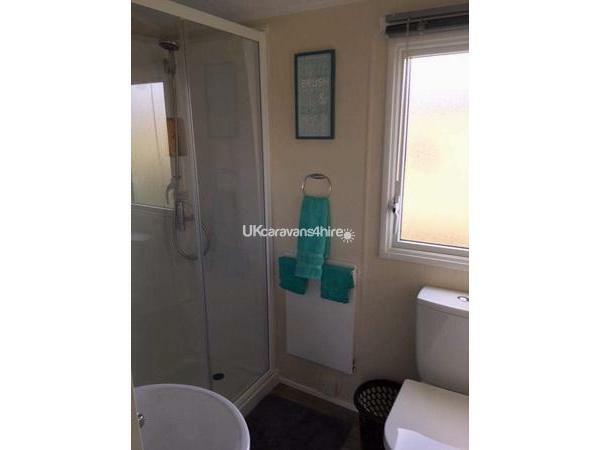 Bathroom - Fully fitted shower, toilet and wash basin. 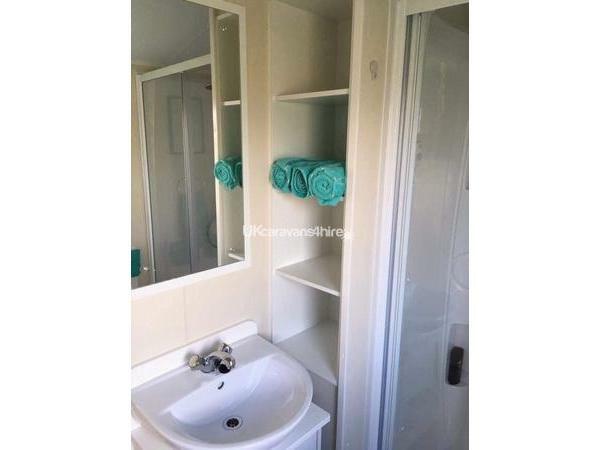 There is also a separate toilet and wash basin in a further room. 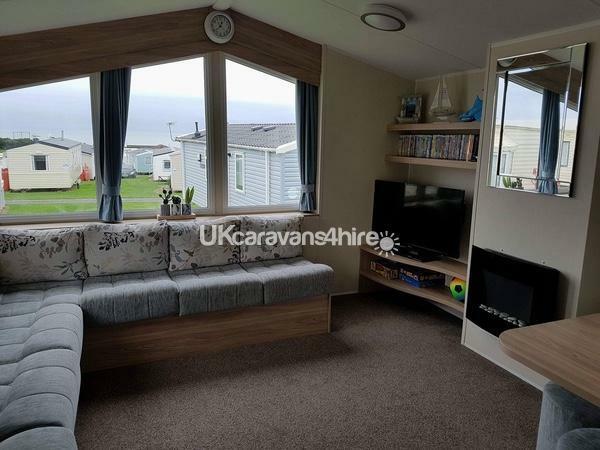 Situation - The caravan is situated on Juniper Close and has seaviews from the lounge window and is very close to the complex. A great location and parking close too.